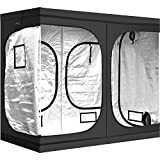 1 What is a Grow Tent? 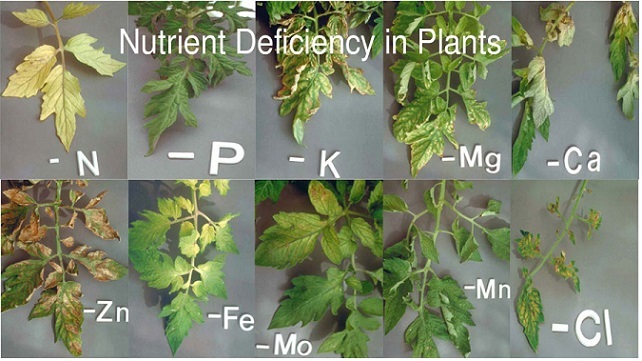 Hydroponic growing is attractive due to the level of control you can achieve over your growing environment. However, without a quality grow tent, there’s no way you can dial in your growing conditions. If you’re just interested in the best grow tents, then take a look at the chart below. Otherwise, let’s dig into grow tents! At their most basic, grow tents are fabric that is wrapped around a frame made of metal poles. The fabric is coated with a reflective material on the inside, so as much light as possible is used by your plants. The world of grow tents can be confusing if you’re just relying on an online shop or your local hydroponics store. These days there are hundreds of grow tent manufacturers, all with different features, sizes, and price points. It’s hard to narrow down not only the best brands, but what all of the different features actually mean. 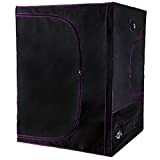 Too often grow tent manufacturers make up fancy names for their features instead of just calling them by their standard names. The most dense grow tents are upwards of 1680D, while the average grow tent comes in anywhere from 120D – 600D. As a general rule, buy the strongest fabric that you can afford. 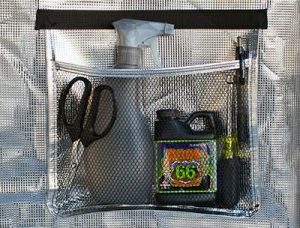 It keeps noise and smell in your tent, and it keeps any airborne spores, pests, or diseases out of the tent. It’s also harder for light to leak through a denser fabric. 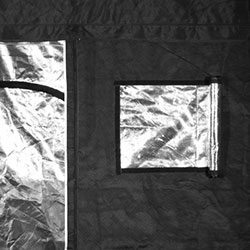 One of the biggest advantages to using a grow tent is the reflective properties of the interior walls. It ensures that you’re getting the most out of your indoor grow lights. However, not all reflective material is created equally. You should look for tents that offer reflective mylar with as close to 100% reflectivity as possible. Some manufacturers also offer mylar with different patterns. 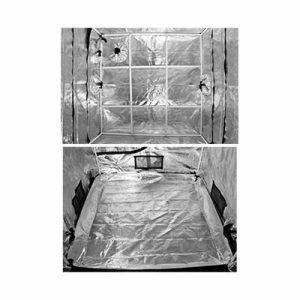 Diamond patterned mylar seems to have the best reflective quality and some of the top grow tents offer it standard. A close-up of the steel, interlocking frame. Sturdy! Grow tents are almost always constructed by assembling interlocking poles. Some manufacturers offer tents with height-adjustable poles, meaning an extra set of 1’ or 2’ poles that can be attached the the vertical supports. These are a great choice if you’re growing plants that require a lot of vertical height. 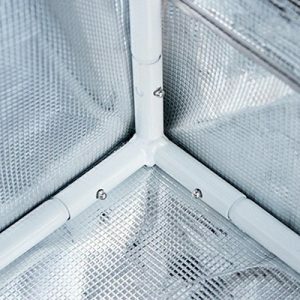 There are three types of ports on a grow tent: ventilation, exhaust, and cord ports.Ventilation ports are typically flaps secured by velcro that can be lifted to help vent out hot air. Make sure there is at least one of these on your tent. Exhaust ports are for more heavy-duty ventilation, including ventilating your grow light. There is typically at least one intake and one outtake port, although larger tents will have more than one of these. A look at the design of the flood pool. Flood trays are nice to have if you want an extra failsafe in case you spill water, nutrient solution, or your system fails in some way. It’s placed on the bottom of your grow tent, fastened to the poles, and can hold quite a bit of liquid. Viewing ports are handy for crop observation. These are fantastic if you want to check on the progress of your garden without disturbing your growing environment. They’re usually secured tightly with velcro to prevent light leakage when not in use. 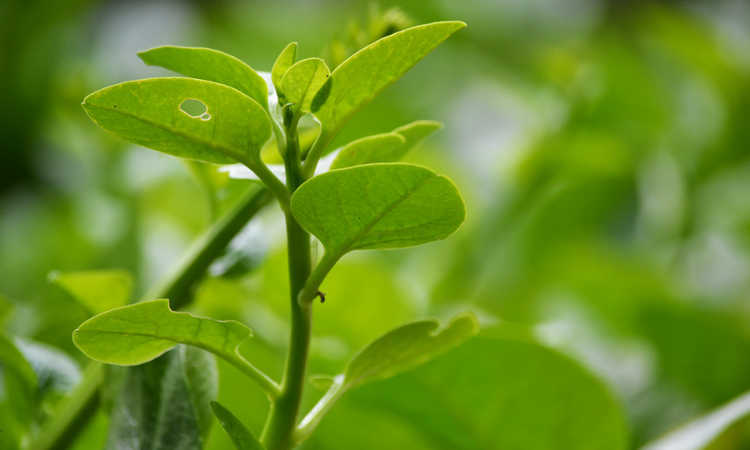 If you’re using additives like CO2 in your garden, viewing windows are a crucial way to prevent losing all of that precious CO2 buildup. An intelligently-placed tool pouch for easy access. This seems like a small feature, but I can’t tell you how handy these are. When you keep misplacing your PPM, pH, temperature, and humidity meters around your garden like I do, you’ll be thankful to have a tool pouch inside your tent. You can also use them to hold your journal, clippers, nutrients, and other garden accessories. An example of a net trellis. Some tent manufacturers include a net trellis in their tents as a bonus feature. 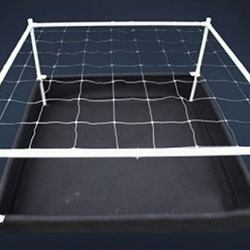 These are handy if you are growing plants that need a lot of support, or you’re growing in a method that requires a consistent-height canopy. It’s not a make or break feature, but it’s definitely nice to have. These guys started their company in 2011 after becoming frustrated with the quality of the grow tents on the market back then. They wanted to create a tent that was thick, strong, and durable…but most importantly, one that was height-adjustable. Because they are growers first, they set out to design their “dream” tent. I may be biased because I own one of their tents, but after having tried a few manufacturers, they have a big leg up in many ways. You can find professional commercial growers using Gorilla products, and they are included in many popular “complete growing systems” that you can buy online. Secret Jardin has been around for a while and is recognized around the world. 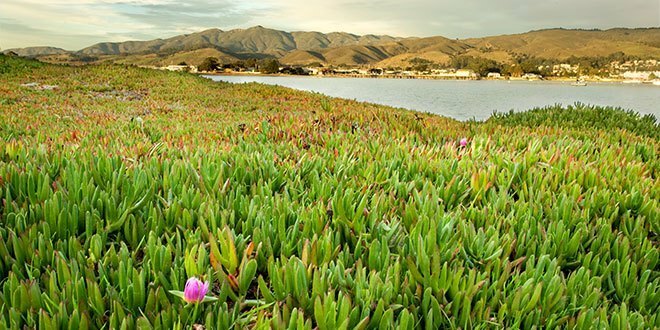 They offered the top tents on the market and were a favorite of commercial growers of all kinds. They’re quite light-proof and offer 95% reflecting mylar, but have fallen out of favor amongst growers in recent years due to increased competition in the grow tent market. Apollo Horticultures makes a wide range of hydroponic products, but recently they’ve found their footing in grow tents, offering some of the best tents for the money. Sure, they’re not top of the line tents that have every feature you could possibly want. But they’re good choices where it matters most: fabric, zippers, and frame. They recently upgraded to metal interlocking corners from plastic corners, which is a big durability upgrade. Best Overall: The absolute best tent that money can buy in the size range. Best Value: The grow tent that gives you the “most tent” for a low price. Scroll below this table if you want a detailed review of each grow tent! 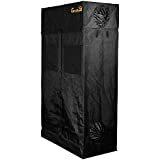 This is the cheapest grow tent that Gorilla offers, and it comes packed with a ton of features that you won’t often find in grow tents at this price range. Although the fabric density is quite low, they use a PVE binding technique that increases durability. It’s taller than most tents at this price range and can even be extended an extra foot with a height kit (not included with the tent). As far as bells and whistles, it comes with everything that makes Gorilla Grow Tents great – a tool pocket, flood mat, and high-quality construction. Conclusion: ​All the features packed into a tent at this price point make it a no-brainer purchase if you’re looking for a cheap grow tent that doesn’t sacrifice on quality. 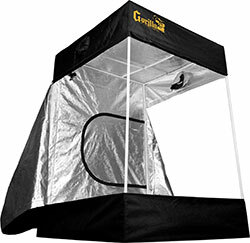 Upgrade to the standard Gorilla 2×2 if you want the highest quality tent possible. If you are looking for the best tent you can get for the least amount of money, Quictent is the go-to pick. It’s not as solidly constructed as higher-end tents, but you get a LOT of value for your money, especially with the 600D fabric density. It also has interlocking steel poles, which is unusual at this price point and makes the entire frame much more stable. The zippers can snag a bit, so be extra careful when zipping and unzipping this tent. Conclusion: This is the best 2×2 tent you’re going to find at this price point. If you value saving money over getting a ton of features, then go with Quictent. Tool pocket, flood tray, view ports, 1′ height kit. The best tent in the 2×4 size range is still from Gorilla, but this time it’s their standard line, not their LITE line. The key difference here is the increased height at 6’7″ and the massively increased fabric density, from 210D to 1680D. This makes the fabric on Gorilla tents easily the most dense on the market. It’s height adjustable and comes with a 1′ extension kit. You can purchase another and get up to 2′ extra height for a total of 8’7″, making it easily the tallest tent out there. 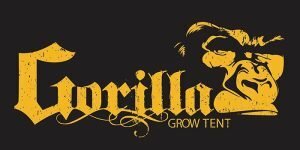 Conclusion: ​As usual, Gorilla puts out the highest-quality grow tents with the most features and flexibility. You do pay for this privilege, though — this is not the cheapest 2×4 tent on the market. If you want to sacrifice some fabric density and height, but keep all of the extra features, you can go with the LITE LINE option. For the money, this is one of the best grow tents in the 2×4 category. Sure, you don’t get a ton of extra features, but you get a somewhat dense fabric, a flood tray, and newly-upgraded steel interlocking poles and corners (Apollo used to use plastic corners). Conclusion: ​This is one of the cheapest 2×4 tents on the market, and you still get pretty good value out of it. Great for a beginner setup. Tool pocket, flood tray, view ports, height adjustable. Once again, Gorilla has the most insane set of features and quality that I’ve seen in a grow tent. At the risk of sounding like a fanboy, it’s just inarguable that they make the best 3×3 grow tent on the market. Of course, you’re going to pay for the quality — it’s nowhere near the cheapest. The 3×3 tent from Apollo Horticulture is my best value pick. It’s far cheaper than the Gorilla tent, and as you might expect you get a lot less for your money. But it’s well-made in the three areas that count most: zippers, fabric density, and frame strength. It also does come with a flood tray, so there’s at least one extra perk thrown in the mix. Conclusion: ​If you’re looking for a durable no-frills 3×3 grow tent, go with Apollo. You’ll save money by not spending it on features that you may not need. Designed for professionals, with strong quality control and strong engineering. Velcro door holders, corner flaps, zip flaps, vents and ports for exhaust and electrical these are great tents. 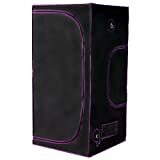 They offer the Grow Cube ‘Classic Range’, the Grow Cube Pro range and Loft Tent range. Conclusion: ​This is the best 4×4 money can buy. It’s better than other tents by a large margin, but also quite a bit more expensive. A great choice if you want the absolute best. The 4×4 tent from Apollo is the pick for best value. They strip away all of the extra bells and whistles, but you get it for a price that more growers can afford. 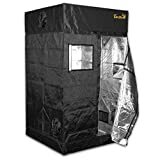 Conclusion: ​If you want to get the most out of your grow tent for the lowest price possible, go with the Apollo 4×4. Now we’re getting into grow tents used for full-scale growing operations. As usual, this tent comes with all of the features Gorilla bakes into every tent. The 4×8 has 3 doors, 8 ducting ports, and 5 electrical ports for ultimate flexibility in your setup. Conclusion: ​Growers buying 4×8 tents are often professionals, so it makes sense to invest money in the best gear you can get. And Gorilla makes the best 4×8 tent. It’s hard to find a 4×8 tent that gives you a lot of features for a low price, but the iPower tent does a pretty good job. The only downsides here are the zipper quality and the propensity for small light leaks, which is hard to avoid for a low-priced 4×8 tent. Conclusion: ​If money is a big concern but you still need a 4×8 tent, the iPower is the best you’re going to find. Although 5×5 tents are an odd size, Gorilla just released their take on the sizing. It’s got everything you would associate with Gorilla tents – dense fabric, free height extension kit, tool pocket, viewing ports…the list goes on. Conclusion: ​Yet again, Gorilla produces the best 5×5 tent on the market. But like always, you will be paying more for a tent of this quality. Apollo wins for the best value 5×5 tent. This is a no-frills tent that has what matters most – good quality zippers, dense enough fabric, and a strong frame. It’s shorter and has none of the extras of Gorilla tents, but it’s great for the money. Conclusion: ​For the price, you won’t find a better-made 5×5 tent. Of all of the features grow tents offer, which are the most important? Zippers are the first point of failure, then the frame itself, and then the reflective material and the fabric. Look for sturdy, steel poles with metal corner attachments. Ideally, you want these to lock together instead of simply slide together. Tents with poor reflective material tend to crack and tear over time, especially when you bend the fabric. 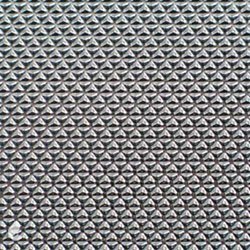 Look for reflective mylar that is well-bonded to the canvas fabric. Q. How tall of a tent should I buy? The answer to this question depends on a few things: your lights, your plants, and your own height. If you are growing with powerful, hot lights like HPS or MH, you’ll need to place them further from the plant canopy and will require more height. On the other hand, if you’re growing with LEDs or CFLs, you can place them closer and get away with a shorter tent. Some plants also require more height. If height is an issue for you, you can either grow a dwarf variety of your plants, or simply spring for a taller tent to make sure they have enough room to grow. Lastly, you will likely be inside your grow tent at one point or another. It’s nice to have a tent that you can comfortably fit in. Some of the shorter tents can be difficult to maneuver in. Q. How thick should my grow tent fabric be? As mentioned above, the thicker the fabric, the better. Shoot for fabric that is 600D or greater. The lower the number, the more likely it will leak light, smells, rip, or have worse quality zippers. Q. 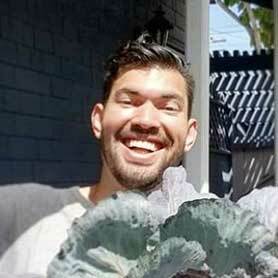 What grow lights should I use in my grow tent? As a general rule of thumb, you want to find a light that emits enough light to cover the footprint of your grow tent. 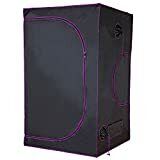 If it emits a lot of heat as well, you’ll need to use some grow room ventilation techniques to bring the temperature down. Q. What kind of ventilation fan should I get? 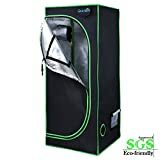 If you have a small grow tent, you can actually get away with some very cheap fans (even a computer fan placed in your exhaust vent will do). However, for larger tents or more serious growing operations, you should go with a mixed flow fan due to its power and the fact that it puts out almost no noise. Q. How powerful should my fan be? If you have an air filter in your ventilation system​ double the required CFM (80 CFM in our example). If you have a hot grow room, double the number again (160 CFM in our example). Some growers consider this overkill, but it’s up to you. Q. Do I need an intake fan? If you have an exhaust fan setup correctly, an intake fan is unnecessary. It would simply waste money and power. 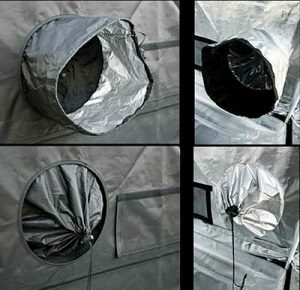 As your exhaust fan pulls air out of your grow tent, the intake vents or ventilation panels built into the tent will bring in fresh air. Q. How do I deal with odor? 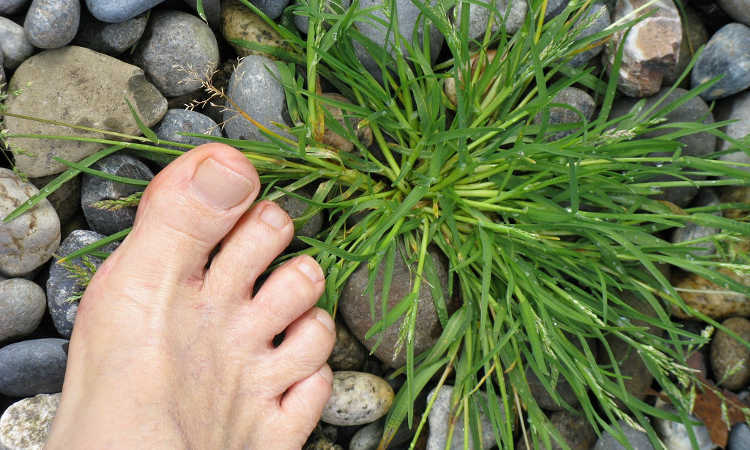 If you are dealing with a smelly plant, there are generally two ways to combat this. One is with a filtration system like a carbon filter. The other is with deodorizing gel like Ona Gel. 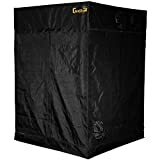 If you want my personal opinion on the best grow tent to buy as a rule of thumb, I would go with Gorilla Grow Tents. I’ve tested most of the tents on this list and always come back to my trusty Gorilla tent.